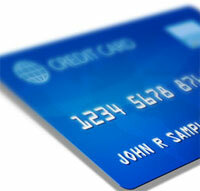 One of the ways that you can stay on top of your finances is to track your credit score. While a credit score isn't the be-all and end-all of your financial snapshot, it can still be rather helpful as you keep tabs on your overall financial situation. 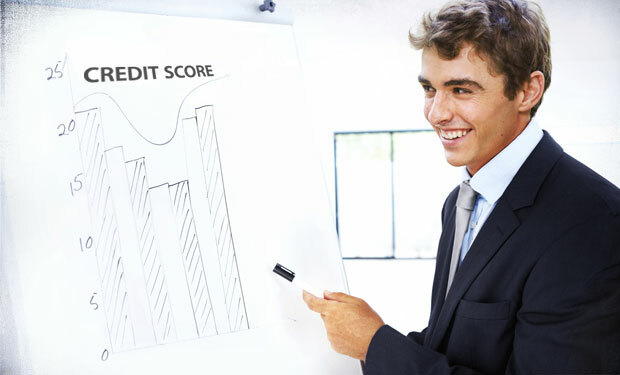 While it might cost you money to access a more “official” credit score, there are plenty of ways that you can get a general idea of how you are doing when you use some of the free resources available for credit scores. There are ways to get free credit scores, including having a loan rejected. However, if you don't want to apply for credit just to see where you stand in terms of your credit, there are sites where you can see your free credit score. BankRate: Get your Experian score for free on this site. Credit Sesame: Credit score, basic financial info, and more on tracking your financial situation. Credit Karma: TransUnion score, as well as your VantageScore and even your insurance score. Turbo from Intuit: Transunion score is supplied by Turbo, as well as a variety of helpful financial information about you and tips for your situation. eCredable: You won't get a consumer credit score like you're used to, but you will get an idea of where you might stand with the help of the credit rating simulator. It's important to note that these free credit scores aren't “official.” It's not what lenders see when they pull your credit. And they aren't scores that you would get if you paid for your score at myFICO.com. However, these free scores can give you a good idea of whether or not you are making progress with your finances. For the most part, free resources are best used to keep tabs on your general situation. You can use these resources to see whether or not you have good credit in general, as well as see where you could improve. Additionally, if you notice a sudden drop in your score on one of these sites, it could be an indication that there is something very wrong with your credit (including identity theft). Monitoring your situation can alert you to possible problems that you might need to address quickly. If you think that the issue might be identity theft, you should check your credit report as soon as possible. If you haven't checked in the last 12 months, you should log on to annualcreditreport.com to get a report from each of the three major bureaus for free. Even if you aren't eligible for a free report right now, it is still worth it to pay to access your report if you think that your identity might be at risk. Keep an eye on your situation, and you can watch it improve. Many of these sites offer insights into where you stand in comparison to others, as well as providing tips for improving your credit situation. If you are looking to take control of your financial situation, these free resources can actually be quite helpful. Get an idea of where your finances are going, and you'll be in a better position to improve your situation. Do you know of any other free resources to keep tabs on your credit? Tell us in the comments. In one of my first posts on this site I gave a brief overview of Dave Ramsey's 7 Baby Steps, and gave links to a few other sites who talked about them. Today I want to begin my series on the 7 Baby Steps by talking about Baby Step 1, saving up $1000 for a baby emergency fund. You have to live like no one else, so that later on you can live like no one else! You'll need to make some short term sacrifices so that later on you can prosper and give more and live more! So here's a quick look at the 7 baby steps. Today we'll cover step 1. Step 7 – Build wealth and give! There's an adage, known as Murphy's Law, that says, “Anything that can go wrong, will go wrong“. Dave Ramsey likes to say that an emergency fund will help keep those “little murphies” at bay and keep you from having a small emergency turn into a bigger one. The problem is that we all have major negative events in our lives, but not very many of us actually plan for those occurrences. 78% of us will have a major negative event. Those numbers alone should startle you into realizing your need for an emergency fund. And those numbers are only for the MAJOR events – we all have a ton of smaller expenses that pop up every year. Is A $1,000 Emergency Fund Enough? A lot of people see this first step in the baby steps plan and immediately bring up the point that $1000 just doesn't seem like enough money to save up for your baby emergency fund. Ramsey suggests that for most people it IS enough to cover most emergencies. All of them? Maybe not, but that's what Baby Step 3 is for, to save up a larger emergency fund to cover just about any major occurrence that could happen. My wife and I ended up saving $2000 for our baby emergency fund – so we did increase the amount just a bit. I think the key is to look at your situation, see what is reasonable to save up fast – in 1-2 months, and go with that. Depending upon your situation a little less than $1000 might even work. When you save for an emergency fund a question often comes up, “Where should I keep my money?”. People want to know if they should keep the money in a CD, a online savings account or some other type of account. Ramsey suggests that you keep this money accessible, preferably in a bank with a local branch nearby, where you can get to the money quickly in an emergency. Personally my wife and I keep our money at our l0cal bank in a money market savings account. It doesn't earn much interest, but that's not really the point of the baby emergency fund. The point is to insure against those unplanned events. When you save up your larger emergency fund later on, you'll have more options on where you want to save that money. Where do you not want to keep your $1000 emergency fund? Keep them out of CDs, stocks, real estate, or other investments. Keep it somewhere you can get to it in a short period of time. Beyond doing a quickie budget, it would be a good idea to do a more in depth budget if you can using a free budget software like the one from mint.com. A budget is telling your money where to go, instead of wondering where it went. After you pay the minimums on all your debts, save as much money as you can towards your $1000 emergency fund. If you need to sell some things on Craigslist, get a part time job, or sell your sacred baseball card collection, just do it! Do what you have to and get that $1000 saved! After saving up your $1000 emergency fund, the next baby step is to pay off all your debts using the debt snowball. Stay tuned for that next time! Have you used Dave Ramsey's baby steps? Were you able to get your $1000 saved up quickly when you started? What did you have to do to get it done? Tell us your thoughts on the Baby Steps in the comments. For my first real post on this personal finance blog I thought it would be appropriate to talk about one of the people who have influenced my financial life the most, Dave Ramsey. For those of you who don't know, Dave Ramsey is a personal finance guru who has a daily radio and TV show, in addition to personal finance seminar called Financial Peace University. Dave Ramsey is extremely popular, and most of his radio and TV shows focus on helping people who have gotten themselves deep into debt, and need help in finding a way out. One of the biggest ways they end up getting out of debt is by following his 7 Baby Steps plan. Here's a quick look at Dave Ramsey‘s 7 Baby Steps plan for getting out of debt. Step 1 – $1,000 to start an Emergency Fund: The first step asks you to save up a bit of “just in case” money – in other words – some money for just in case the unexpected happens. What kind of unexpected things? Things like flat tires, doctor bills, and a furnace going out in the dead of winter will be covered by this small emergency fund. Step 2 – Pay off all debt using the Debt Snowball: List your debts from smallest to largest. Pay the minimums on all of the debts. With money left over after you pay the minimums, you pay extra on your smallest debt – until it is paid off completely. Once you pay off the smallest debt, you then start paying on the next smallest debt. Step 3 – 3 to 6 months of expenses in savings: Save up money to cover bigger emergencies, layoffs and big illnesses or other eventualities. Step 4 – Invest 15% of household income into Roth IRAs and pre-tax retirement: Save money for your old age and retirement. Step 5 – College funding for children: Save up some money for your kids education. I don't think you should pay for all of it, but some is good. Step 6 – Pay off home early: Make some extra mortgage payments to pay down the principal and own your house faster! Step 7 – Build wealth and give! (Invest in mutual funds and real estate): Continue building wealth through mutual funds and real estate, and more importantly give til you can't give no more! When you write it down it seems like it would be so simple to get out of debt and start building wealth, but Ramsey is the first to tell you that it takes a lot of hard work and “gazelle intensity” in order to find your way out of the depths of debt. I know personally that his plan can work as my wife and I have used it to get out of debt. Is it a perfect plan for absolutely every situation? Maybe not. But it does work for a majority of those who try it and stick to it. Over the coming days and weeks I'm going to do a series of posts talking about Dave Ramsey's 7 Baby Steps, one by one. I hope that in talking about it I can give some hope to some of you out there who are looking for a way out. What do you think of the 7 baby steps? Have you used the plan? Would you recommend it to others? Tell me what you think in the comments and welcome!